Kieffer Pears were one of the most commonly grown pears when Grandpa grew up. It was an old-timey variety that was widely planted across much of the US. Kieffer pears lined the road that Grandpa farmed on and their heavy bloom during the spring perfumed the air and made driving down the road a beautiful experience. Some of the same trees still grow in yards along the road today and still seem as healthy and fruitful as ever! Kieffer pear is very fire-blight resistant. 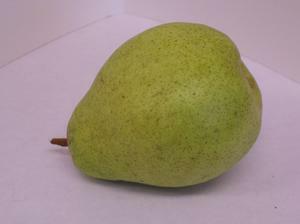 Many of the modern pears grown today, such as Bartlett, Bosc, Anjou, and many others as susceptible. Kieffer is also one of the pears considered truly self-fertile, so it isn’t necessary to have other pear varieties close by for pollination. Kieffer can be widely grown across the country including the south where humid and warm conditions can make fire-blight a real problem. The tree is very hardy but does well in hot climates too. juicy and crisp with a slightly musky aroma. Grandpa has Kieffer pear available for both fall and spring planting. Learn more about this old-time favorite.